TR: Actually it has. I dont think that this idea would have, or it would have been a more dangerous idea if not for the whole Queen / Paul Rogers thing that happened. In most cases these bands are reformed, theyve usually got the original member or most of the original members. The Doors recently reformed. They got into a lot of trouble with Morrisons estate because they didnt make a distinction between the old Doors and the new Doors and thats why were called The New Cars. There is the possibility that original members of The Cars would reform and they would have the right to just plain call themselves The Cars. And the reality is that neither Ric nor Tom, the original drummer, want to become touring musicians again. Its not the easiest life and if you have something else that you can do, your days will probably be more productive (laughter) doing that then what typically occurs on the road. Its perfectly understandable that they declined to go out but then theres always the possibility that Greg and Elliot and Ric and Tom would reform and that would really be The Cars. So, yeah there is a distinction that it can lead to some confusion but fortunately theres only one version of the band out (laughter) this summer and thats The New Cars. RS: Not Tonight is a brilliant song that sounds like vintage Cars. Any info on how that song evolved? the song has to be called Not Tonight. Itll be all the things that you would do except youre too damn busy to do (laughter) them. And the song just evolved really quickly from there. So that was the most collaborative one that had pieces of music that Greg had come up with, and chord changes that Elliot had come up with and the lyrics and melody of the song, essentially I came up with. TR: Yeah, we think of this sort of almost as a hybrid cause Prairie and Kaz have been playing with me so long, its almost as if you put two bands together. A lot of people only notice that I have taken the front man position but the rhythm section is just as important and the fact that they and I had played together for so long kind of helped it all come together quicker and also characterize what it sounded like once it did. 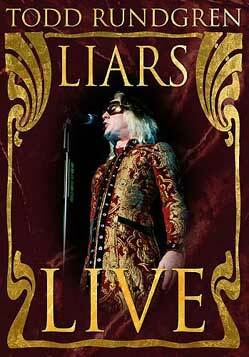 RS: I was amazed that one of the live tracks on the Its Alive CD is Open My Eyes which was the first song on the first Nazz album from 1968. RS: Are you bringing out some other solo classics on board for the live show? RS: So a New Cars studio album is imminent? essentially, thats done and thats coming out like June 9th or something like that. But once weve been on the road for a while, I think its highly likely well do a DVD of the show. And when we do that, that will of course have new versions of whatever songs are in the set at that point, which obviously will include a lot of stuff thats on the live album. RS: So the three studio cuts on the CD advance sent to the magazine are on the Its Alive! album? no, two of them. That means we only have one more to learn. (laughter) And once weve done that, yeah all of those studio tracks will then eventually appear as live versions. RS: Has Ric Ocasek heard the New Cars CD? What does he think about it? RS: Interesting that your solo releases and Ric Ocasek's new CD are both on Sanctuary. TR: Sanctuary is a distribution company principally. They dont do a whole lot of original recording developments. And indeed the album that they put out of mine, I completed myself and offered to them for distribution. They didnt underwrite the expenses of making it and usually dont. Often, theyll acquire the rights to records that were previously out on another label but have been dropped from the catalog. And in that sense theyre very much like a European version of Rhino Records. Thats how all of those Nazz albums originally reappeared on the market after SGC Records disappeared. 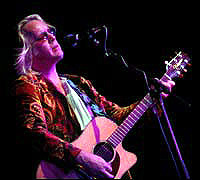 RS: Your recent release on Sanctuary is The Best Of Todd Rundgren Live. TR: Yeah, so we had a separate agreement with them to plumb this catalog of live recordings, some video, but mostly audio recordings of live shows, live radio broadcasts and various other things that I have funded. Performances going back even in to the mid to early 70s. So they go into that vast library of stuff and pick out things that they think would make good live recordings, they send them to me, I spiff them up a little bit and then they release them. And thats an agreement that weve had since before they distributed the Liars album and that continues now. 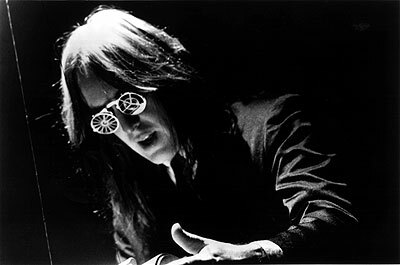 RS: The Best Of Todd Rundgren Live is a great concept for a live CD. Even though the tracks are taken from different shows over different years, it sounds like one whole show...Its so much better idea then fading down and going to a different show. TR: Yeah, well you lose a lot of momentum that way for one thing. All the excitement of a live show goes away as soon as it goes silent. (laughter) And I thought it would be generally more exciting and convey more of the live feel if the tracks were all kind of like put in a similar acoustic space and the audience seemed to be just one audience. You could almost construe it as, starting out, lets say with a smaller group of musicians and then more and more people like walking on stage (laughter) in between the tunes and in some cases walking off again. Maybe the kind of show that you would do when you were retiring. When you wanted to go back and visit your performance career. RS: Its one of the best live albums Ive heard. RS: Your were working with Bas Hartong over at Sanctuary? TR: Bas has left. The company kind of downsized and refocused mostly back in Europe where they originated. So Bas was kind of like the point man there and I used to do all the projects with him. He was the one who would go through the library and find the performances that he thought should be released. Now hes independent or hes working somewhere else. Im not exactly sure where. I got an email from him saying where he was. RS: Future plans on Sanctuary? TR: We had some arrangements with them. We had one sort of big arrangement that we announced whereas I was giving them some like exclusivity on a range of my services. But that agreement, when they began to downsize, was weighing too heavily on them (laughter) so that we kind of like ended that agreement but we still have a relationship with them; they still release some of our catalog but the likelihood that they will be releasing the next solo album that I do is probably slim. RS: I saw a Nazz CD box set from Japan selling for $120. TR: Whoa! The Japanese, they really get into the completeness of the package. And they remaster. There may be vinyl in there for all I know. (laughter) I mean theres only two records that we actually did, so Im not sure how they trump it up into a hundred and twenty dollar box set. But hey, more power to em. Theres probably like collectables in there that you cant get anywhere else. TR: Yike! (laughter) Holy moly. RS: So theres not going to be reissues of the Nazz Cds in the future? TR: I dont know whos in control of that right now. And no one ever approached me about trying to either reconstruct original masters or original versions of for instance, the second album which at first was made as a double album and then came out as two single albums. And I think theres some attempt to get that all reordered but nobody has given me the opportunity to actually mess with original masters so its out of my control, more or less. RS: One last question. So youre not running for President in 2008? Id vote for you. you take care or yourself and all my best to your mom. See you later.